PCD Pharma Franchise in Odisha – Pax Healthcare is the well-known name in the pharma industry for top Pharma Franchise business. It is the ISO Certified pharmaceutical company in India that manufacture & supply pharma products in all over India. The company provides GMP & WHO certified pharmaceutical products at affordable rates. Now the company is looking forward to expanding its presence in India and thus, offering its Pharma Franchise opportunity in all over India. And Odisha is main target destination of the company for PCD Pharma Franchise business. So if you have the plan to get pharma franchise in Odisha then it’s the best business opportunity for you. We are welcoming to all Pharma experts & distributors in Odisha to Join Pax Healthcare to become our franchise partner. We are offering a monopoly based pharma franchise that will include all kind of free promotions tools, no huge sale target, WHO certified products. So if you want to get our Product & Price list for the franchise then Contact us at our toll-free number 1800-121-8583, 9216325808 or email at paxhealthcare@gmail.com. Pax Healthcare is Chandigarh based leading pharma franchise Company in India. Established in the year 2008, the company has made its good position in the market in a very short span of time. We are involved in the manufacturing, trading, exporting, supply, marketing and third-party manufacturing of the brand drugs. Our formulations are huge in variety and best in quality. Pax Healthcare ensures the best quality of all products. Pax Healthcare works with a team of best pharma experts. Our team is rich in experience and well qualified in their field. Our research and development team provide us with new and innovative drugs which are effective on a regular basis. Pax Healthcare is one reliable name among the associates for PCD Pharma business. Associate with the top pharma franchise company and start your own successful business. Pax Healthcare provides the best business opportunity for the people of Odisha. The company is offering its Pharma Distributorship in all the vacant districts of this state. Therefore, if you have a dream to have your own business in the pharma industry then this is the best opportunity for you. Pax Healthcare is looking for the dedicated pharma professional, pharma distributors, medical representatives, and other entrepreneurs who are interested in having their own business. We will provide the best monopoly or distribution rights to our associates. Puri and all other districts. We are looking for the hardworking and dedicated pharma professionals for our Franchise business. These people should be able to take responsibility for our brand name in the best way. So what are you looking for, this is the best business opportunity for you to start your own business in the pharma industry. The Scope of Pharma Franchise business in Odisha. Pharma PCD franchise is booming very well in India. And, Odisha is the main state of India for Pharma Franchise business. The healthcare sector of the state is growing day by day. The number of pharma companies is expanding their business in Odisha. The demand for the high-quality affordable drugs is very high and thus, the PCD Pharma Franchise business is flourishing well in order to meet those demand. Pax Healthcare makes sure that customers get the best quality formulation from the company. The company has a quality management team that looks after the quality of products at every stage of the production. Our raw materials are supplied by the best vendor in the industry. We make sure that our drugs are safe, effective and match the international standard. The products that we provide comes with lesser side effects. 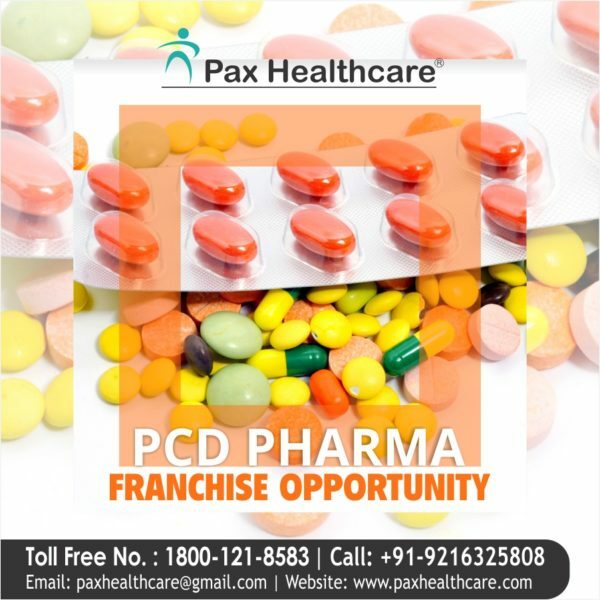 Why choose Pax Healthcare for PCD Pharma Franchise? Associates trust us or rely on us for the ethical PCD pharma business practice, for high-quality drugs with the best quality and support for marketing and many other things. Pax Healthcare has a huge market reach and a good customer base. By working professional and ethical in the industry since 2008 the company has won the trust of many doctors and health professionals. We provide the best support to our pharma franchise associates and make sure that get the growth opportunity. Pax Healthcare is a well-certified pharma franchise company and drugs are manufactured by using the best quality raw materials. Our products are affordable as they are manufactured in the excise duty-free zone. The company has a good transportation network and thus, delivery all the products on time at any part of the country. New products are regularly added to the product portfolio. We provide the packaging with the best quality so that the products could get a long shelve life. The company provides a good promotional backup to its associates in order to have a great impression on the doctors. This also helps in beating the competition. Associates get the promotional kit that includes the promotional tools. We provide you annual incentives at the time you meet the target. All the marketing costs will be provided by the company only.